Most of my adult life, ever since I reached puberty, I have been skinny. My weight has always remained between 43-45 kilos until I was 25 years of age. While many thought that I looked emaciated and frail, I was pretty happy being skinny. Then, in early 2012, I took a sabbatical from work and was at home for three odd months, waiting for the right project to join work back. These three months were all about eating, reading and sleeping for me. The lack of exercise and travel took a terrible toll on my body and before I knew it, my weight has touched 65 kilos. Since I'm pretty tall and was skinny, the weight gain didn't show much. Yes, I looked slightly chubbier and healthier and my clothes did not fit me. Apart from having to give away my entire wardrobe and replacing it, I was pretty okay with the weight gain as I was not looking fat or obese. Then, I missed my period and everything went downhill from there. 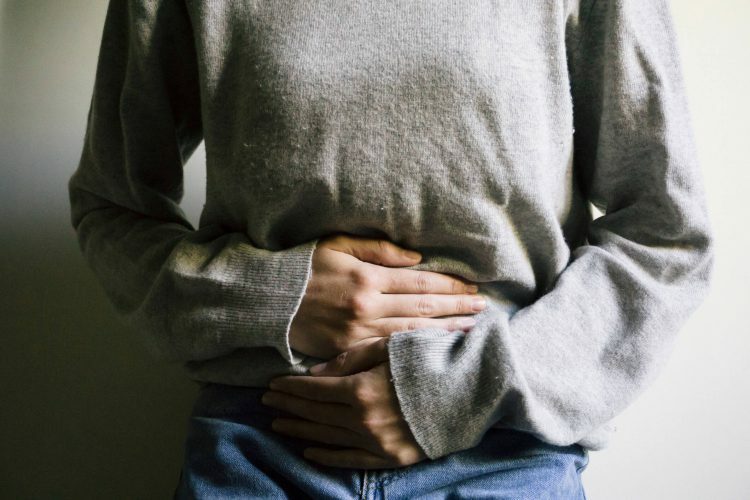 I went to a doctor after I hadn't got my period for two months in a row. She sent me for a scan during which my bladder had to be full and it turned out to be more uncomfortable and painful than I thought it would be. Once the results were out, two words stared at me. Cystic Ovaries. My doctor explained the situation to me and since then I have been dealing with it till today. Turns out, one in ten women struggle with this. Let us understand more about Polycystic Ovarian Disease/Syndrome also known as PCOD or PCOS. I'm not a doctor or a medical practitioner, and I'm only talking about my experience here and what little I know about this disorder. I refuse to call this a disease because this is not something that can be cured by medication alone. 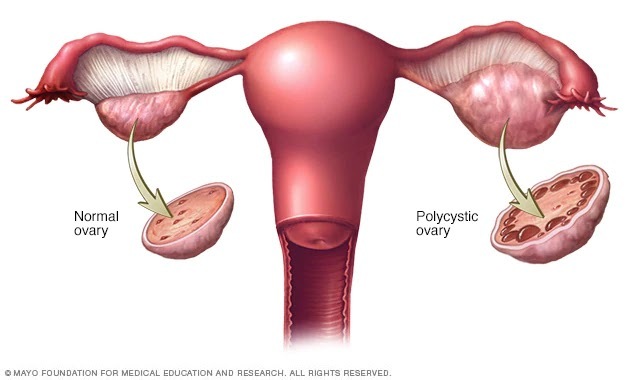 PCOS is a condition in which multiple cysts form in your ovary and they block the release of the egg a.k.a ovulation which is supposed to be a monthly function. If the egg is not released, it will not come into the uterus, because of this there will be no endometrial lining in the uterus and there will be nothing to shed when fertilization doesn't happen. Hence, you will not get your period. Or get pregnant. Sometimes, there will be a delay in the release of the egg because of the cysts and this will make your periods irregular/heavy/scanty. Though these cysts are not harmful, they lead to hormonal imbalances. 1. Weight gain and difficulty in weight loss. 3. Irregular or no period. 4. Hair loss from the scalp. 5. Excess hair growth on face and body. I face the first four problem on a regular basis. Adult acne is pathetic and it has ruined my skin beyond repair. Thank God for makeup is all I can say now. The difficulty in weight loss is the biggest problem, however. No matter how much you diet or workout, weight would remain the same. For a person who is trying very hard to not get pregnant, you can imagine the stress a missed period can cause. Let us just say that the demand for home pregnancy test kits have multiplied thanks to this. Also, apparently stress aggravates PCOS, so it is all a vicious cycle at the end of the day. Hair loss is minimal for me, but it still is there. I have always taken pride in my thick black mane and it kills me to see strands of hair on my pillowcase or shower on a regular basis. So, what can one do to deal with PCOS? This is what you can do. PCOS is mainly a lifestyle disorder and not a disease. I repeat, not a disease. It is curable by lifestyle modifications and not only medications. Most doctors will prescribe oral contraceptive pills (OCP) as a treatment, if it works for you well and good. For me, OCPs had terrible side effects. Headaches, water retention, mood swings, depression and a drastic decrease in the libido. My doctor tried different OCPs with various combinations for me, but everything had pretty much the same effects. She then prescribed me a tablet (metformin) that would help me control the sugar in my body which in turn would help me lose weight. That had even more crazy side effects, like drowsiness and shortened attention span. That is when I decided that I was not going to rely on medicines to help me deal with PCOS. I set up a diet chart as well as an exercise chart. I ate everything in moderation and worked out regularly. I even tried going vegan, but that did not work out for other reasons. Yoga is very efficient when it comes to PCOS. I don't know how it does it, but it does regulate your menstrual cycle. While you might not be able to completely cure PCOS, you can control it with some effort. Diet and exercise is a must. 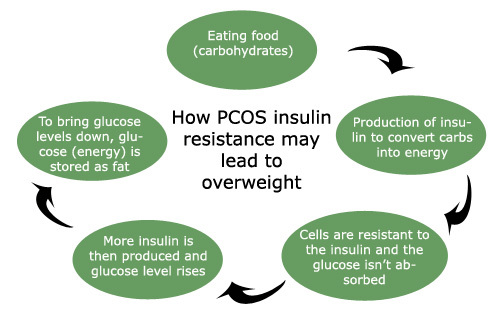 Since PCOS is known to cause type 2 diabetes in the future, refrain from having excessive sugar. Even a small amount of weight loss helps in balancing the hormones. If you are someone looking to get pregnant and start a family, you need the advice of a doctor as well as work on your lifestyle. PCOS is controllable only with a lifestyle change and no amount of medications can help it. I have also noticed that stress is a huge factor when it comes to PCOS. Since it is almost impossible to avoid stress with our work life and pressures, try not to stress over small things. Most importantly on a missed period or the fact that you have PCOS. Years ago, when I spoke about PCOS many girls reached out to me saying that they were upset and ashamed about this. Recently, when someone I know was attending a forum on herbal products, I asked them to check if there was anything for PCOS. This woman retorted saying that she'll be ashamed to talk about it. Yes, a woman! There is nothing to be ashamed about PCOS, but you need to be careful about it. Talk about it, discuss it with other women and girls. 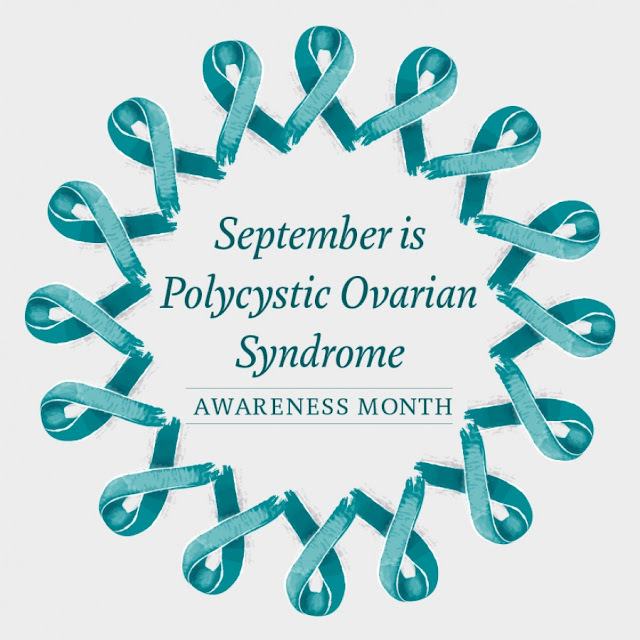 Most times, PCOS goes undiagnosed in women, until they feel the need to get pregnant or face other problems. We need to create awareness about it. Anything that messes up the hormones is not a good thing and this is something you need to be wary about. Life with PCOS is not easy, but you can do a lot to keep it in control. Also, try not to be bogged down by the outwardly changes like weight gain, acne, excessive hair growth etc. People around will do everything they can to point it out to you and make you feel bad, but the need of the hour for you is to deal with the actual problem at not what they say. It does hit one's self-confidence, but with time and effort you can fight the effects of PCOS. Until then, don't feel bad about yourself and don't let others make you feel bad either. Once you accept the problem, it becomes easier to work on it. Fighting PCOS is all in your hands. You make the effort to take care of your body, your body will take care of you. Excellent post Soumya. And thank you for talking about it. It's important that PCOS is talked about and women are aware of the conditions that can effect their bodies. Unfortunately PCOS is becoming common these days, maybe due to lifestyle and stress. You are one of the women I know who has fought it with good exercise and healthy diet. Hope more women are inspired after reading this post. Thank you, Raj. We need to talk more about PCOS and Thyroid and make both men and women aware of it. I am so glad you wrote about this. I have been suffering from PCOS since i was 16... until i was 25 it didnt really hit me as i was not putting on weight due to to my active lifestyle of dance classes which were pretty hectic in itself. But once i started working the IT job kind of added as a catalyst to my PCOS. Sadly ppl around me thought i eat a lot and thats the reason i put on weight all of a sudden, some thought i stopped dancing (which was also some %). The first few years i kept explaining myself to people but no one ever bothered to understand or even empathize for that matter.Even family members called me FAT bluntly. Now at 31, i realize its my own battle to fight which is a lifelong process. The contraceptives dont help me due to almost all the side affects you mentioned. Avoiding rice is impossible considering the mallu me at heart. But yeah step by step am fighting my vicious battle of PCOS. Sad nobody talks about it, even people who suffer PCOS avoid talking about it or giving any suggestions. I hope you are better now, Sneha. Yes, people are the main problem when it comes to PCOS with their mocking remarks. I got married around the same time that I was diagnosed with PCOS and people attributed my weight gain to marriage and kept commenting on it slyly. It was so annoying. No one wants to understand PCOS, they think it is unnecessary and periods is not something that needs to be discussed. This taboo is what we need to shatter. Eat rice for lunch or breakfast, indeed. Trust me it helps. A little modification in your diet can help this. Please message me on FB or mail me at soumprasad@gmail.com if you want me to share some healthy recipes or meal tweaks. This is very informative. PCOS surely needs to be discussed more. Many times, atleast before marriage, I have seen parents getting worried and keeping it under wraps believing it affects prospective marriage proposals. This just leads to more suffering for the sufferer. LIke you said, its stress and then its aggravated. Yes, I have seen it too. People think it is something grave and something to be ashamed about. They need to know the cause behind it and understand how to cure it instead. A carefully planned diet resolves or makes most health issues better. I am glad you grabbed the problem by the..... ovaries and are proactively taking care of yourself. It is easy to feel upset and become miserable when we learn we have a long-term health problem to deal with on a daily basis. And community is a wonderful thing even if only to keep spirits up, knowing you are not alone. You said it, Hottie! A well planned diet can heal anything. I have heard a lot about PCOD. A few of my friends have it. Like you said it's more of a taboo, since people think a woman with PCOS cannot conceive. It is very blunt. I have also come across situations where friends have communicated their issues prior to their wedding to their partners and their partners accepted them gladly for being "open". Though one conceived quickly, there are a couple of them who couldn't. The kind of things people say about them is painful. Some people also say that if this disorder was mentioned before the wedding,they would have reconsidered their decision. And this coming from multiple degree women, makes me think what we actually know about someone's condition. Looks aren't everything I always say. Since I suffered from severe acne throughout my teen and a bit into my adult life, I know what it is like to face most you have mentioned. Terrible. I have been on medication and suffered from severe stomach pain for almost a year. Only later I came to know that it is not recommended for people with sensitive tummy. I felt totally disappointed in the dermatologist's behavior for being so naive about the issue. So, when we can't resolve everything by medication, we still have ways where we can resolve our problems. By sharing our thoughts on that and helping each other and mainly by making lifestyle changes. People see PCOS only on the aspect of whether a woman can conceive or not. There are way more issues to it than just making a baby. Even that has other ways, but what about the personal health of the woman. That must be understood. Importance should be given to a woman's personal health. Only then can something good be done. Medications taken for dermatological issues wreck the body too. The doctors should be aware of this and explain it to the patient. Else, one can sue the doctor. Soumya,it takes a lot of courage to accept and discuss such a health issue openly. Kudos! life with PCOD can be very difficult and I have seen many friends going to extremes to tackle it. Some have even damaged their skin with anti acne and hair removal products. Lifestyle diseases are on a rise these days. This blog-post was really very educative. Yoga is a great cure for almost all issues. Thanks!